Your Dreams Could Be One Ticket Away. With small amounts come BIG rewards. It only takes one winning ticket for your life to change forever! 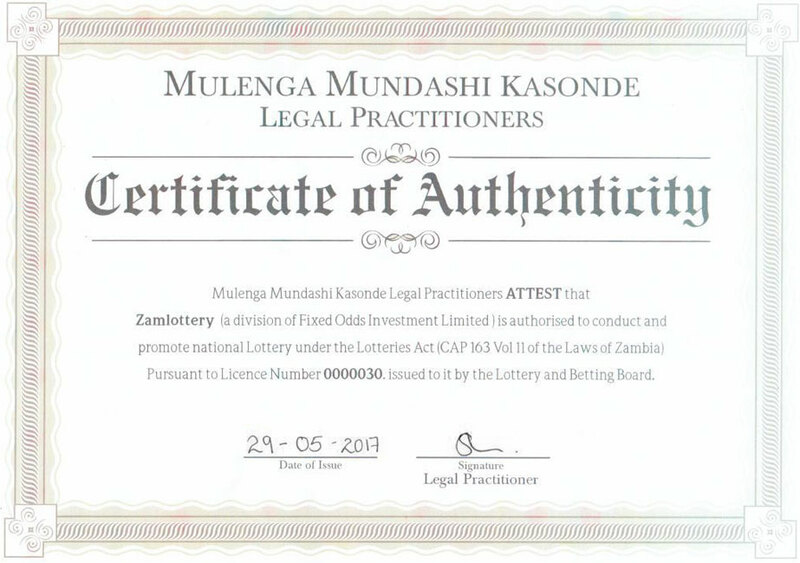 The Zamlottery website offers you the chance to see the latest results of the lottery draw, find out the latest Zamlottery news and help you along the way to inform you of the lottery status. The Lottery games are easy to play at one of the selected lottery outlets, providers and kiosks. You have a selection of 3 lottery games to play in order to stand a chance of winning. The official lottery website is here to help you establish the winning lottery numbers, inform Zamlottery players on any news related to the lottery and help guide you through the process. Remember the lottery is for persons over the age of 18 and legislation applies to residents of Zambia. Picking the correct 3 numbers in each ball set of 10, 15 and 20 will see you living a life you've only dreamed of! With 36 numbers to choose from, all you have to do is select the winning 5 and you'll be well on your way to a world of riches. Africa Millions is drawn twice weekly every Wednesday, ZK50 Million is up for grabs, while every Sunday there is a staggering ZK100 Million up for grabs.